Are you Independent Traveler looking to experience the magic of the Camino? Self guided tours are perfect for independent travelers as you can navigate a route yourself. The Camino de Santiago has a scallop shell and an arrow virtually everywhere along the way. Moreover, the regions visited are inhabited so you will have the chance to talk to people and ask for directions. We provide you with a holiday pack including navigation material such as walking notes or guide book, maps, instructions, directions and suggestions on what to see or do during your self-guided tour. All the tours we offer on the Camino de Santiago routes across France, Portugal and Spain are available as self guided tours, whether you are walking or cycling. Just pick your preferred route and travel dates and our travel specialists will create the right itinerary for you. Our guided tours are ideal for travelers looking to share their Camino experience with a group. Guided tours are a great way to meet people along the walking routes and they are led by local guides with in-depth knowledge of the Camino de Santiago. They speak fluent English and can provide you with insights into the local culture. All our guided tours come with maps, luggage tags, general information and directions; as well as airport transfers (unless specified). 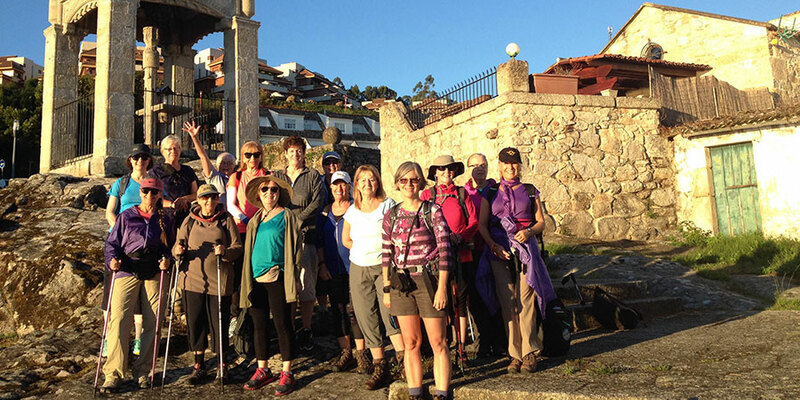 Camino guided tours depart on specific dates and cover particular route, generally over a week. Visit our Camino guided tours section to check upcoming departure dates. Not sure if you should go for a Guided or Self-Guided Camino tour? All breakfast and dinners included All breakfast and dinners on walking days* included (*dinners not included at the first and last night of the tour).